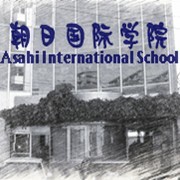 Asahi International School established in 1973 and started Japanese language course in April, 1981. She is an accredited member of Association for the Promotion of Japanese Language Education, and the first accredited agency of applying for certificate of eligibility as No. 87-1. What kind of school is Asahi International School? Asahi International Schoolis located in a quiet place which costs only 5 minutes from the Kashiwa Station. Students from all over the world come here to learn Japanese language. There are 19 experienced teachers in the school and the average is 15 years of experience on Japanese language education. All the teachers have passed the Japanese Language Teaching Competency Test. You may be familiar with the must item for passing JLPT, Kanzen Master Series (Level 1, Level 2). The parts of grammar and Kanji are edited by our teachers. Except the daily Japanese language education, we also offer students intensive courses for the EJU as well as the college guidance. We also have dormitary for foreign students during the period they study in our school.